This post is brought to you by Linqia highlighting Hello breath sprays, an amazing breath spray that leaves you good to go. The perfect dose of freshness when you are out and about! No alcohol, no ouch, and no worries. When I put stockings together I love the idea of filling it with items that you love and will use on a regular basis. It is nice to have a few treats, or some little gifts, but items that you use often are nice to give or receive in your stocking because you will have a purpose for them later on! I love to throw in miniature versions of products I already like, or products that aren’t too big and will be able to fit in the stockings! 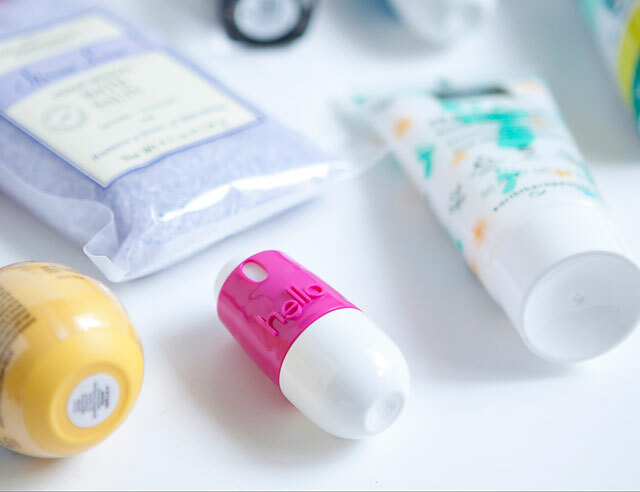 2) Hello Breath Spray– it comes in some amazing flavors like supermint, pink grapefruit, mojito mint, and sweet cinnamint! I am not a huge fan of gum, I don’t really like to chew it very long and a lot of them have a lot of un-natural ingredients like aspartame, and dyes that I try to avoid. I love the Hello breath sprays because they are “naturally friendly,” not tested on animals and are made in the USA. I love the sleek packaging and that you’ll be mistletoe ready, and “greet friendly” at a moment’s notice this holiday season. You can find Hello oral care products at Smiths, Walmart, Target, CVS stores, and more. 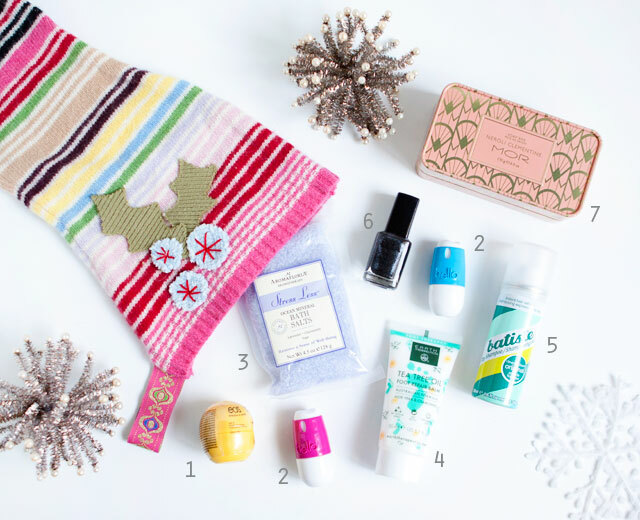 3) Relaxing bath salts- a gift of relaxation is always a good idea. 4) Tea tree foot repair balm- to pamper your feet. 5) Dry shampoo- helps freshen your hair without daily washing. 6) Nail polish- for holiday ready hands. 7) Scented soaps- for aromatic shower experience. 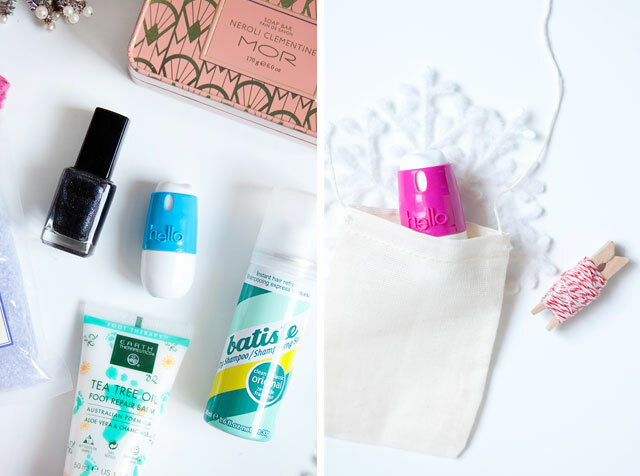 So, what are your favorite stocking stuffer staples?